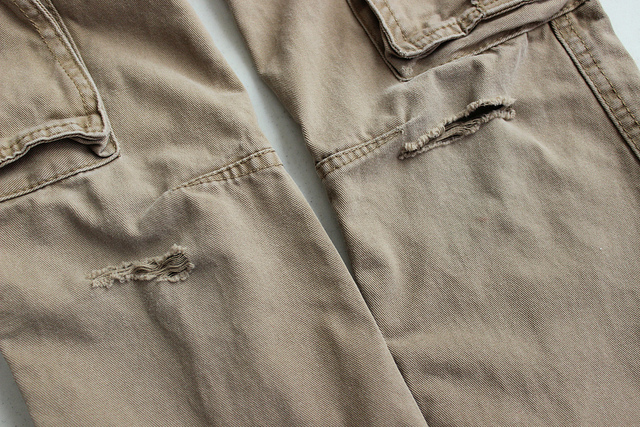 I have a big pile of mending — mostly pants with holes. Connor’s tend to get holes very fast. Mine get holes too — I find a pair of jeans I love and I just wear them out. 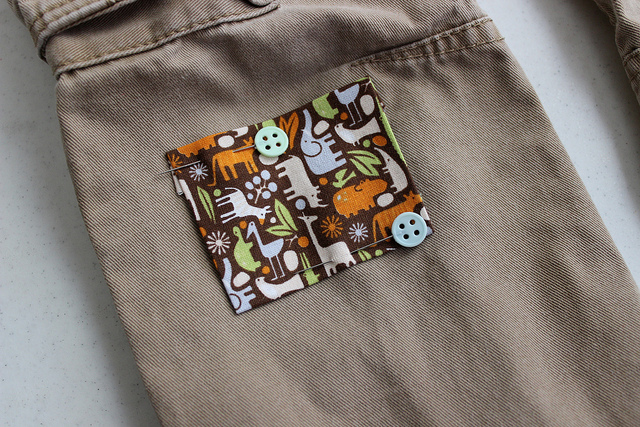 Patches can be pretty and fun — not just economical. 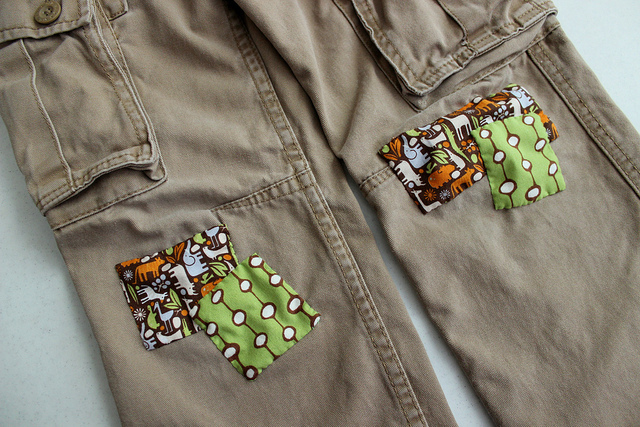 These patches were inspired by a friend of mine’s awesome pair of patched jeans. 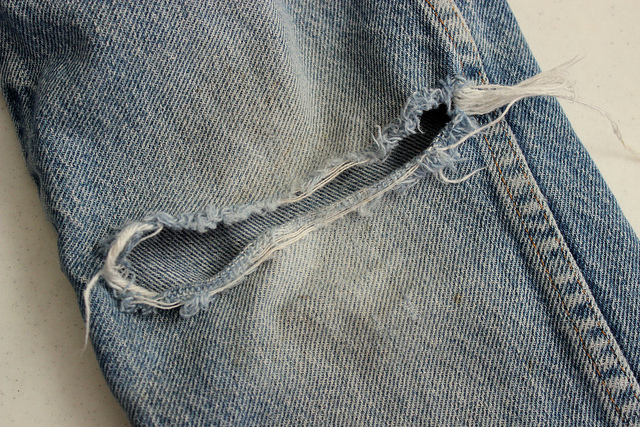 If you’re mending jeans, make sure you trim an excess threads from the hole so it’s not bulky under the patch. 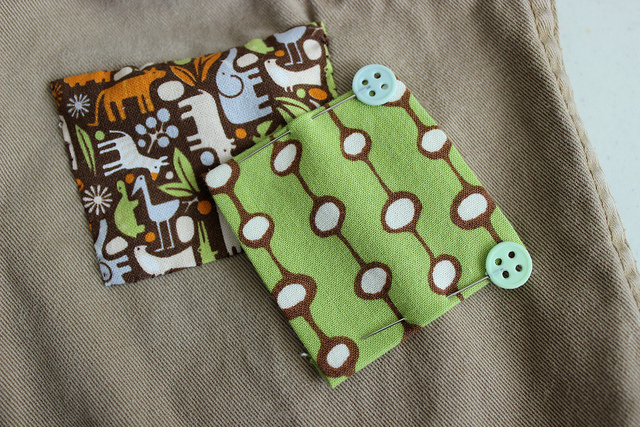 Did I mention this is a great way to use those fabulous bits of scraps? Well, yup. All of those gorgeous bits of fabric can cover your holes and give you some style. 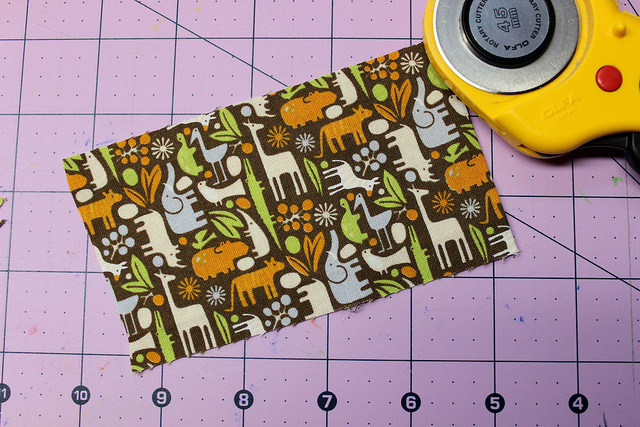 Cut a piece of fabric approximately 1/2″ larger in both directions than how big you want your patch to be. 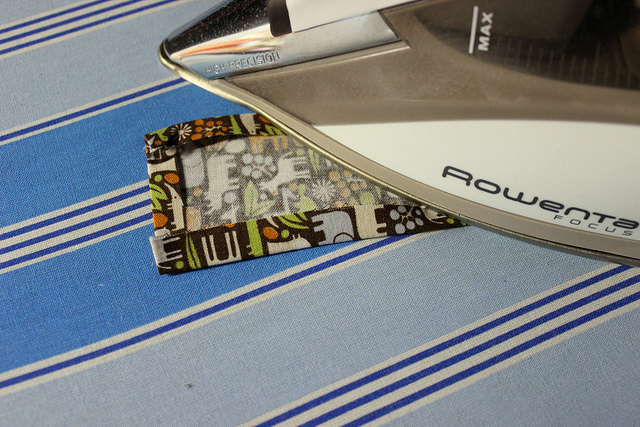 Turn it right side down and fold the sides in roughly 1/4″ and press. Turn it over and press again to make it nice and flat. Place it on the pants and pin in place. Make sure you only pin through one layer of the pants. 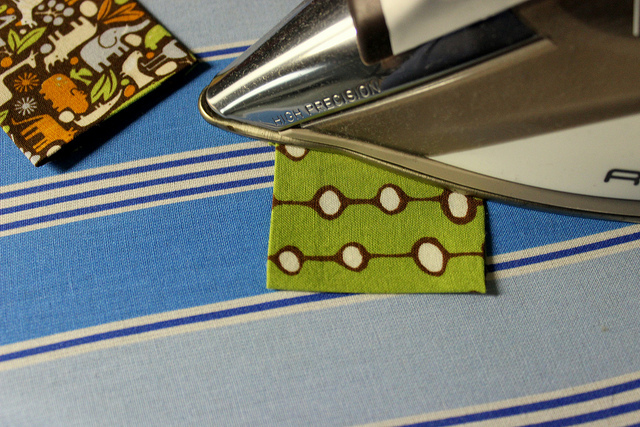 Using a needle and thread, hand sew the patch down. 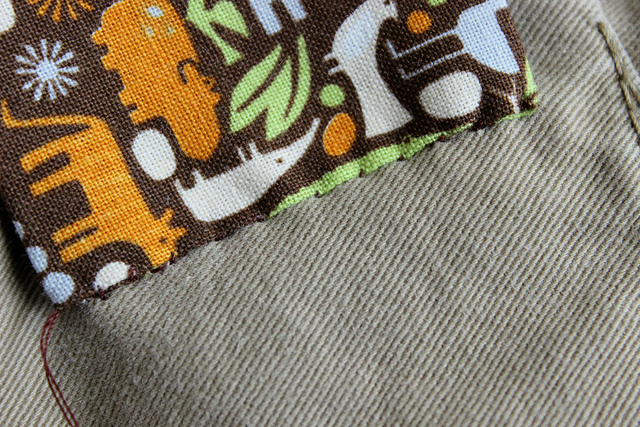 You can hide your stitches like I did or make decorative blanket stitches or other pretty stitches. 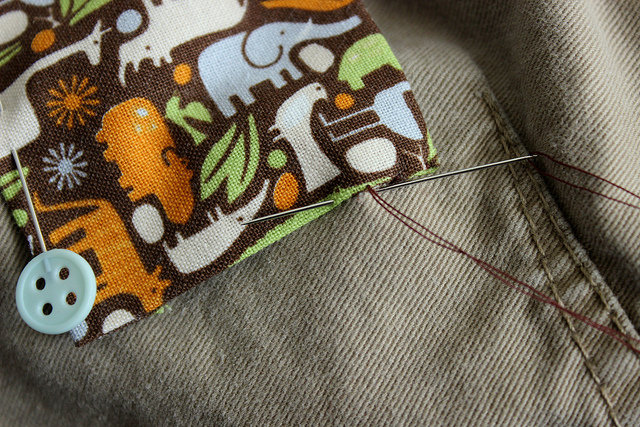 To make sure you don’t sew through both pant legs, it’s a good idea to keep your hand inside the pants while sewing. I like to use a double thread thickness to help secure it. The threads are a little more pronounced, but it’s up to you. 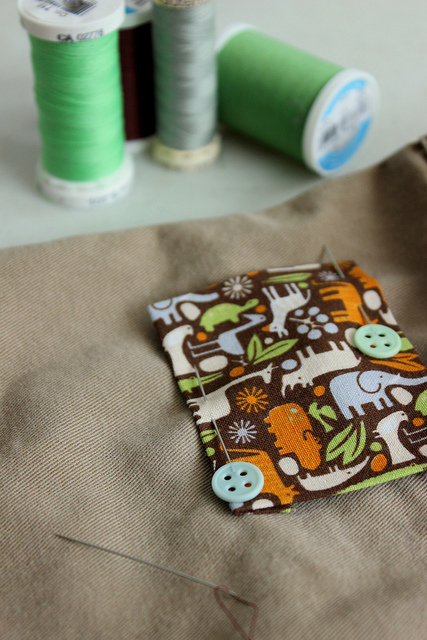 Once you’ve sewn all the way around, make another patch and pin in place. These didn’t need a second patch to cover the hole, but it looked so much better with a second one. And you’re done! 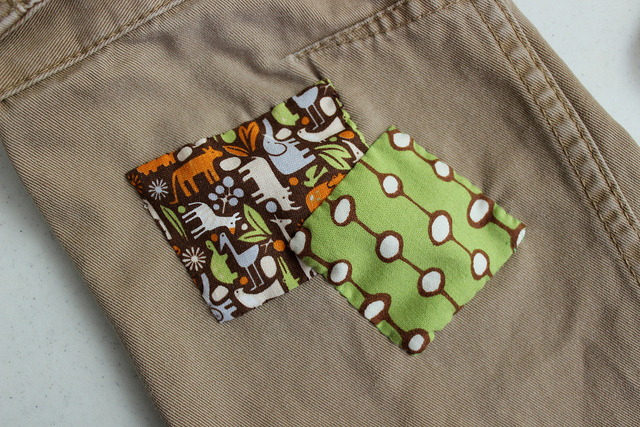 Pretty patches for your pants!